*the DfEEs latest guidance on pupil inclusion. 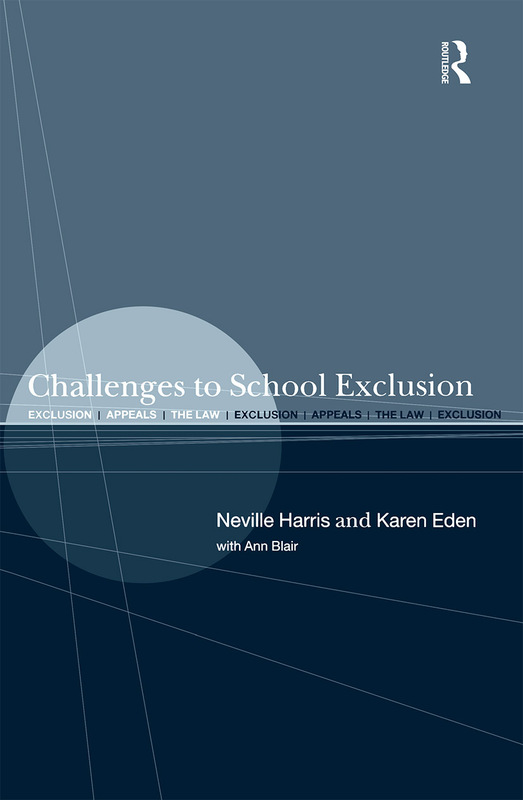 Challenges to School Exclusion is the first study to examine permanent exclusion. The findings reveal serious deficiencies in the appeal system, including a frequent failure to deal fairly with excluded children. The text will be of particular interest to head teachers, local education authorities, school governors, education lawyers and education charities. Neville Harris is Professor of Law at the School of Law and Applied Social Studies at Liverpool John Moores University. He has written extensively on education law and is the senior editor of the Education Law Reports. Karen Eden is a research officer at the Trust for the Study of Adolescence based in Brighton. She has also worked as a research fellow in the School of Law and Applied Social Studies at Liverpool John Moores University. Ann Blair is a lecturer in law at the University of Leeds. She has worked in local government and has served as a school governor.